Federal investigators want to know whether executives at mortgage finance giants Fannie Mae and Freddie Mac misled investors and the public about risky mortgages in the lead-up to the 2008 financial crisis. High-ranking sources with the Department of Justice told The Daily that the FBI and other federal authorities have launched investigations into the matter. The development comes as the Securities and Exchange Commission filed suit yesterday against six former top executives at Fannie and Freddie. The suits represent the most aggressive moves to date by federal regulators against financial executives at the heart of the housing market meltdown. The state attorneys general investigations of foreclosure fraud do focus on the major players such as the Bank of America (BoA), but they are unlikely to lead to criminal liability for any senior bank officials. It is most likely that they will lead to financial settlements that include new funding for loan modifications. New York courts will become the first in the United States to require lawyers handling foreclosures for banks and servicers to take steps to ensure the procedure is done properly, the state’s top judge said on Wednesday. WASHINGTON — The foreclosure-document crisis just keeps on growing, and now the FBI is getting into the fray. A federal law enforcement official told the Associated Press that the agency is in the initial stages of trying to determine whether the financial industry may have broken criminal laws in the mortgage foreclosure crisis. The official said the question is whether some in the industry were acting with criminal intent or were simply overwhelmed by events in the wake of the housing market’s collapse. The official spoke on condition of anonymity because the investigation is just getting under way. Big lenders are trying to move past the foreclosure-document crisis, saying they are now confident their paperwork is accurate. But they are facing so much organized resistance that they can’t just snap up their briefcases, declare the crisis over and move on. Attorneys general in all 50 states are jointly investigating whether lenders violated state laws. Lawyers for evicted homeowners are preparing lawsuits against major lenders. State judges have signaled they will review the banks’ foreclosure documents with skepticism. Lawmakers on Capitol Hill plan to hold hearings. The document crisis, in other words, appears far from over. 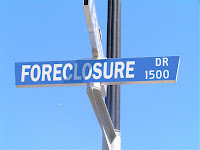 Federal law enforcement officials are investigating possible criminal violations in connection with the national foreclosure crisis, examining whether financial firms broke federal laws when they filed fraudulent court documents to seize people’s homes, according to people familiar with the matter. The Obama administration’s Financial Fraud Enforcement Task Force is in the early stages of an investigation into whether banks and other companies that submitted flawed paperwork in state foreclosure proceedings may also have misled federal housing agencies, which now own or insure a majority of home loans, according to these sources. The task force, which includes investigators from the Justice Department, Department of Housing and Urban Development and other agencies, is also looking into whether the submission of flawed paperwork during the foreclosure process violated mail or wire fraud laws. Financial fraud cases often involve these statutes. When it comes to foreclosures, there is mounting evidence of a state of rampant lawlessness in Central Florida. There are increasing signs that big banks routinely evade laws meant to protect homeowners, in many well-documented cases of ‘foreclosure fraud’. Despite the demonstrated existence, for instance, of ‘robosigners’ signing affidavits attesting to documents that they have never seen, the parties engaging in such misconduct are not being brought to justice. Big banks are mischaracterizing this as mere “technical problems,” and apologizing only where there is clear and very public evidence of harm. On September 20, 2010, after my office found evidence of systemic foreclosure fraud perpetrated by big banks and foreclosure mills, I called for a halt to illegal foreclosures. Since then, big banks such as Bank of America, JP Morgan Chase, GMAC, PNC and others have suspended foreclosures or foreclosure sales. These banks are still claiming that the massive fraud they have perpetrated amounts to nothing more than a series of technical mistakes. This is absurd. This is deliberate, systemic fraud, and it is a crime. To give but two of the many available examples, attached is a deposition from an ex-employee of one of the largest ‘foreclosure mills’ in the state, the Law Offices of David Stern. In it, this employee testifies under oath that it was routine for that office to falsify documents regarding military records, in order to move foreclosure cases along more quickly. The local media has reported on the case of Nancy Jacobini; a contractor for JP Morgan Chase broke into her home after the bank mistakenly foreclosed on it. JP Morgan Chase ‘apologized’ for terrifying her. But we do not have an apology-based legal system; we have a system of laws. I am writing to ask you to enforce them. The organized and systematic manufacturing of falsified documents to deprive people of their homes is not only a threat to the integrity of the legal system. It also aggravates and extends the weakness in the housing market. Who is going to feel comfortable buying a home if a big bank can simply take it, whether or not that bank has a right to it? Given the securitization of mortgage-backed securities, this misconduct is a threat to our securities markets as well. But fundamentally, this is a question of protecting basic property rights – if you don’t own it, then you shouldn’t try to take it. Without clear property rights, and a legal system that insists on clear proof of those rights before transferring ownership by force, the economy will fall apart. If perpetrators of perjured affidavits and other systematic criminal activity can get off simply with civil liability — or even less, an insincere bureaucratic apology — the freedom that Americans enjoy will erode quickly in the face of lawless seizures of property. I appreciate your work on the joint Middle District of Florida’s Mortgage Fraud Initiative, and respectfully request that the efforts of your offices turn towards reining in this rampant criminality. Old habits are hard to break, and in the United States of America, there are few “habits” as common as mortgage-fraud. In 2006, the world discovered that the U.S. housing market was the most-fraudulent market in history. However, since that time, even that level of fraud has been surpassed – by the U.S. housing market of 2010. Incredibly, four years after learning that the U.S. housing market was the global fraud-capital, U.S. mortgage-fraud has continued to increase every year. There is simply too much material here to cover even a small portion. For inquisitive readers, I recommend doing a simple Google-search for “U.S. mortgage-fraud increasing”. In addition to coming up with an endless list of articles covering the last four years, one of the first “results” which readers will encounter is a Reuters article from June. That article reported a large haul of fraudsters: 1,215 people were charged in numerous frauds, totaling $2.3 billion in losses for victims. Thanks to the “magic” of search-engines, readers will also encounter a further list (on the left side of the page) of the recent Reuters articles on “U.S. mortgage-fraud increasing”. One of the more hilarious/disturbing search-results was a Reuters article from April 2009, where the U.S. Justice Department “urged Congress” to force U.S. banks to keep records of their mortgages. The Justice Department stated unequivocally that such record-keeping would make it much easier to crack-down on fraud. Naturally, nothing has been done on that front – since the U.S. government likes mortgage-fraud. Here’s why. A Reuters article released today on U.S. mortgage-fraud reported the case of a run-down Chicago home, which sold for $25,000 in a foreclosure auction, and then was quickly “flipped” in a fraudulent transaction for $355,000. Pull out your calculator, and you’ll discover that this phony transaction resulted in a (fraudulent) price-rise of more than 1,300%. Put another way, if there were 100 non-fraudulent transactions, each of which reported a 5% decline in prices, and we add in the one fraudulent “sale”, suddenly those 101 sales show a “rising” U.S. housing market, once averaged-out (instead of the falling market which exists in the real world). Of course, with U.S. mortgage-fraud steadily increasing (even though total sales in this market have plummeted to a tiny fraction of their bubble-peak), obviously the rate of fraud is much higher than merely 1% of transactions. This is especially true given that the vast majority of offenders are “insiders”: “mortgage brokers, appraisers, real estate agents or loan officers”. In other words, the supposed “rising prices” which the Obama regime and media-parrots cited to conclude that the U.S. housing market had “stabilized”, were in fact nothing more than a fraud-induced mirage. Equally disturbing, even in the FBI “crackdown” on mortgage-fraud, of the $2.3 billion in victim-losses, only a paltry $147 million was recovered – less than 10%. This is of tremendous significance to U.S. taxpayers, since their government has made them “guarantors” of all U.S. mortgage-debt – including this endless stream of fraudulent transactions. Even the “detected” fraud is leading to losses of 90+% for taxpayers. Meanwhile, the much larger mountain of undetected fraud naturally means losses of virtually 100%. For readers who dispute the premise that mortgage-fraud is a “way of life” in the United States, I will simply refer them to a superb, PBS expose on the U.S.’s fraudulent markets. “The Warning” is a PBS documentary which goes back to the roots of current, U.S. mortgage-fraud, during the years of the Clinton regime. Of principal note was the position of U.S. Federal Reserve Chairman, Alan Greenspan – who was adamant that “market fraud” should not even be illegal in the U.S. Greenspan’s position was that the market should be left alone to “resolve” this fraud “in its own way” (i.e. through the fraudsters taking every last dime of the “sheep”). What more needs to be said when you have the government of the world’s largest economy taking the position that rather than being a “problem”, that mortgage-fraud was a “solution to problems” (i.e. the crashing U.S. housing market)? Let the fraudsters artificially pump-up the prices of U.S. homes through their phony transactions, et voila we have a “U.S. housing recovery”. Indeed, regular readers will be familiar with my previous articles on the “MERS” registry system. This was a fraud-facilitation entity created by Wall Street bankers during the mid-1990’s. It’s entire purpose was to replace the mortgage record-keeping of individual, financial institutions – so that it would be much easier to engage in serial mortgage-fraud via “mortgage securitization”, as the U.S. financial crime syndicate commenced their housing-bubble crime-wave. The “MERS” registry has been regularly rejected in numerous court-decisions for being woefully inadequate in its record-keeping. This has resulted in a number of U.S. homeowners who, instead of losing their property to foreclosure were handed free and clear title to their properties – because the MERS registry had failed to provide adequate documentation of title. However, none of the previous documentation of fraud in this commentary can compare with the most-brazen admission of mortgage-fraud – by the banksters themselves. In a previous commentary, I referred to a Wall Street Journal article about yet another mortgage-fraud court case. In that incident, the bankers of JP Morgan were asked to explain a mortgage document where, instead of a buyer’s name appearing, there were the words “Bogus Assignee”. 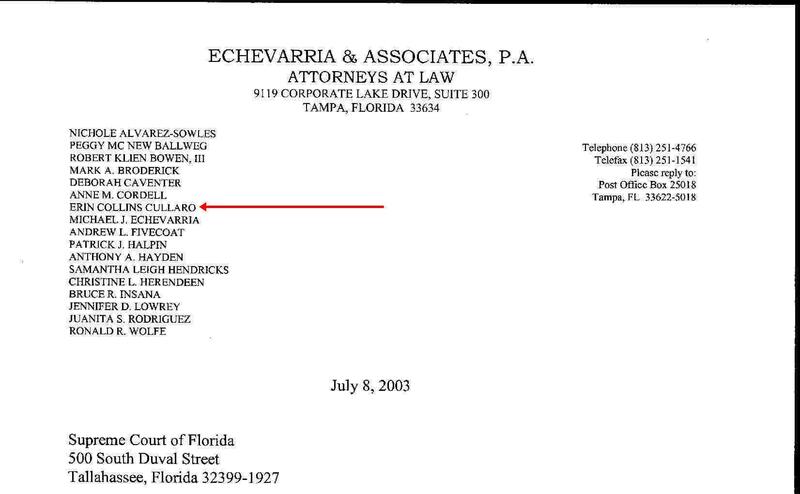 The hilarious explanation of Michelle Kersch, the lawyer defending the case was that the “name” wasn’t an indication of a fraudulent transaction in-progress. Instead, “Bogus Assignee” was merely a generic term, or a “placeholder”, which had been used on “a few occasions”. In other words, instead of using the five-letter word “buyer” as its generic term on loan documents, we are supposed to believe that the substition of the two words “Bogus Assignee” was merely a random choice of words, to which we should attach no meaning whatsoever. For market participants, the message is simple: invest in a U.S. bank and you are investing in fraud. Invest in a U.S. home-builder, and you are investing in fraud. Even though home-builders have not been directly connected to this fraud, when you create the “supply” for a fraud-saturated market, you become equally affected by that fraud – irrespective of the fact that these entities did not participate in this crime-wave. As I have already demonstrated previously, even without mortgage-fraud, the U.S. housing market was doomed to a much worse, much longer collapse – now that this market has clearly begun another slide. However, as we become more aware of the massive levels of fraud in this market, it would appear that I have been guilty of understatement. Simply put, there is nothing more that the Bush regime, and its successor the Obama regime could have done to destroy the U.S. housing market. This matters not at all to the U.S. government, which clearly believes that fraud is “good for business”. This is the attitude of the Wall Street Oligarchs as well, who engage in serial-fraud as a basic ingredient of their “business model”. The Oligarchs defraud a client or business partner (generally numerous times). If the fraud becomes so obvious that U.S. regulators can’t simply pretend it doesn’t exist (any longer), then the bankster is taken to court by the U.S. “regulator”. A sweetheart-settlement is reached where a) the banker isn’t required to admit any “wrong doing” (since U.S. officials don’t consider fraud a “crime”); and b) the fine levied against the Oligarch is generally only a tiny portion of the profits they obtained through the fraud. The fact that U.S. mortgage-fraud continues to soar, four years after this fraud-saturated market was exposed tells us that the U.S. government is intentionally under-funding law enforcement in this area. Law enforcement officials must be extremely demoralized. Not only are they unable to obtain the necessary “resources” to properly police this crime-wave, but the “big players” (i.e. the Wall Street Oligarchs) are essentially “immune” to any law-enforcement actions. Never in history, never in any other part of the world, and never in any other market have the words “caveat emptor” carried as much weight.